East Texas is Corrupt but this is especially shocking because this is our law enforcement and justice system conspiring together to break the law and put a man in jail! We are supposed to be able to trust them. Texas State Authorities need to step in as soon as possible and charge these public officials and remove the Judge from the bench. Furthermore, the false charges against Stephen Hartman must be dropped immediately. Can you imagine if there was no secret video? God help anyone else who has been wronged by this Judge who thinks he is above the law. I am writing this article after speaking directly with Hartman’s attorney, John Morgan, who provided me the information, facts, and video to prove these shocking allegations are indeed true. A website has even been created to expose Corrupt Judge Walker http://downwithwalker.com/. John Griffing, a reporter for WND, has also been helping expose this Judge's corruption and his most recent WND article about Corrupt Judge Walker can be found here. 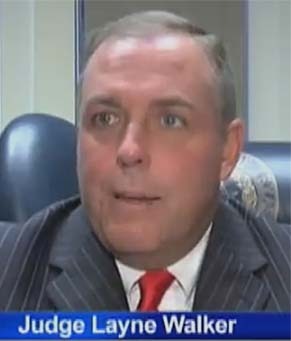 Judge Walker was exposed recently for misusing money from the Texas Indigent Defense Fund. This fund, by law, can only be used for indigent legal fees. According to a complaint sent the Texas Attorney General Greg Abbott, Judge Walker made 21 payments from the Indigent Defense Fund to “Right Time Educational Support Systems.” These 21 payments illegally went to pay for things other than legal fees of the indigent. One of the lawyers representing the individuals who exposed this misappropriation of funds is John Morgan. After Judge Walker was exposed, Walker retaliated against Morgan by taking away Morgan’s children in a child custody case and not letting Morgan even see his children still to this day, over a year, while still requiring Morgan to pay full child support. Morgan has never done anything wrong legally, has never been accused of wrongdoing with his children, and is completely mentally and physically competent. Judge Walker is childhood friends with Morgan’s ex-wife and should have recused himself, but instead Walker used his power to take a man’s children away with no visitation rights simply because Morgan was associated with the people who exposed Walker’s illegal use of funds and because Walker is a friend of Morgan’s Ex-Wife. Judge Walker even illegally confiscated the cell phones from Morgan and his Children and deleted information on the phones that showed abuse of the children by Morgan’s Ex-Wife. Judge Walker tried to bill Morgan for the illegal search. Walker was clearly wrong and Morgan filed a lawsuit. Walter lost and was slapped down by the Texas State 9th Court of Appeals for these illegal actions. Stephen Hartman is a licensed Process Server. Hartman tried to serve Judge Layne Walker with a subpoena by knocking on Walker’s front door. Walker opened the door with a gun and ran Hartman off. Hartman then tried to serve the papers at Walker’s officer but his staff did not allow it. Judge Walker and Jefferson County Sheriff Deputies Illegally Arrest Stephen Hartman, Commit Perjury, Theft of Evidence, etc. Serving Judge Walker at his home didn’t work and might get someone killed, and it was a no go at Walker’s office too, so Hartman decided a more public place was needed to serve the papers so that the Judge cannot refuse and could not pull a gun. Hartman went to Judge Walker’s Courtroom on May 28th, 2013. As video below shows, Hartman sat in the Courtroom until there was about to be a break. Hartman then got up and walked to the side of the courtroom to quietly get the attention of the bailiff. Hartman never crossed the bar or tried to approach the Judge. The Officer came over and Hartman said he needed to serve the Judge. A second officer came over and told Hartman he needed to leave or be arrested. The judge says to arrest him so the second officer then forced Hartman out of the courtroom and placed him under arrest, all the while Hartman was asking what he was being arrested for and saying he was not doing anything wrong. This is where things just go even more downhill. The officers, Judge, Assistant DA, and other officials in the room had no idea there was a secret video so they all had to back up the arrest by conspiring together to write false statements saying that Hartman crossed the bar and was being load and disruptive, etc. Well, the secret recording of the incident (see below) proved that they all committed perjury and illegally arrested and charged Hartman. It gets worse, one of Mitch Woods’ Jefferson County Deputies, acting under the orders of Judge Walker, broke the seal of the property bag of Stephen Hartman and went though Hartman’s phone. This Deputy then found the secret recorder pen and removed it from the property bag. When Hartman asked for the recorder pen back, he was told there was no pen. In reality, the deputy had taken the pen HOME and tried to destroy the video. Under mounting pressure, the Department got the video pen back from this deputy and returned it to Hartman. The deputy could not delete the video so he tried to hide the video by uploading lots of other videos of dancing girls. So there you have it. Shocking public corruption, Beaumont, TX style. 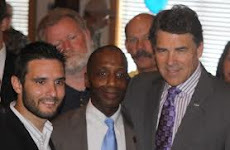 I am sure everyone in Texas has at one time heard of the vast corruption in the Beaumont Independent School District. The corruption in Jefferson County is not confined to one area. It is everywhere. Hopefully this video will finally put some of the bad guys behind bars, or at least off the bench.